New! 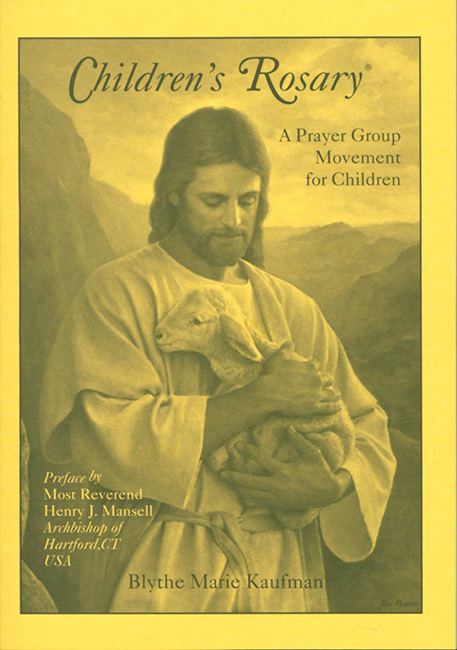 Children's Rosary: A Prayer Group Movement for Children contains all twenty mysteries of the Rosary with original illustrations for children and a special preface by Most Rev. Henry J. Mansell, Archbishop of Hartford, CT. By means of the Holy Rosary our children will be guided to safety and holiness under the protection of our Blessed Mother. This little book includes a complete explanation on how to start a Children's Rosary prayer group, step by step, including guidelines and the prayers of the rosary. It is also ideally suited to be used by children in prayer of the Holy Rosary. Sofcover. 4 X 5.5 inches. 32 pages. See also Children's Rosary Booklet (10 Pack).